Anyone who has plugged their computer into a broadband Internet connection such as cable or DSL has used an Ethernet cable. 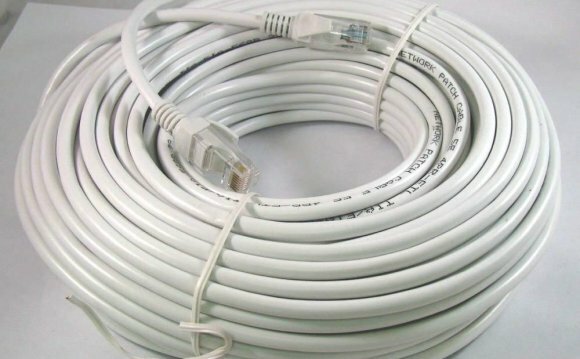 Ethernet cables are the standard cables commonly used to connect a modem to a router, and, likewise, to connect a router to a computer's network interface card (NIC). These thick, flexible cables are all practically indistinguishable to the untrained eye, but not all Ethernet cables are the same. Ethernet cables have been evolving since the beginning of the Ethernet standard in 1985. Many different categories of Ethernet cable have been developed, and each category has different specifications as far as shielding from electromagnetic interference, data transmission speed, and the possible bandwidth frequency range required to achieve that speed. It is understandable that some confusion can arise when looking at all the available options for Ethernet cabling. Luckily, the category of cable is usually clearly printed on the cable's sheath, so there can be no doubt as to the type of cable being used. There are also certain types of cables recognized as common industry standards. This guide will describe a few of the most common categories of Ethernet cable that are used in modern networks.